ST. GEORGE – The St. George Communications Center, or “dispatch” as it is more commonly known, handles emergency dispatch services for most of Washington County. It was the subject of testimony during recent hearings between Dixie Ambulance and Gold Cross Ambulance, as its data was used by Gold Cross against Dixie Ambulance, and Dixie Ambulance retaliated by calling dispatch data’s reliability and system into question. Dispatch representatives were not called to testify or respond to issues raised. Dispatch maintains its data is reliable and verifiable; that data entered by Dixie Ambulance and Hurricane Fire in alternate systems is, at the least, not externally verifiable; and that for any anomalies to be dispositive, they must be factored in proportion to the volume of data produced. Was St. George dispatch made a scapegoat for Dixie Ambulance, defending against challenges made to its own services in the hearings? Dispatch management said they feel they were. The hearings arose as a result of a June 2011 application by Gold Cross Ambulance, a Salt Lake City company, to the Utah Bureau of Emergency Medical Services and Preparedness, seeking to take over 911-ambulance service in the St. George area. In order to take over the state license/contract for the area, Gold Cross seeks to prove that Dixie Ambulance is not meeting state requirements. An administrative hearing was held over several days in early December. During that hearing, data from the records management system used by St. George dispatch was both introduced and challenged. St. George News met with Cindy Flowers and Justin Grenier, manager and assistant manager, respectively, of St. George Communications Center. Flowers has been in dispatch supervision since 1999, and succeeded Jeff Dial as manager when he passed in February 2012. Grenier has served in various roles in the dispatch center for eight years. Before 2007, Washington County public safety entities had three separate systems, Grenier said. The sheriff’s office had one, Hurricane City had one and the City of St. George had one. In 2007, all public safety entities came together under one system; fire, emergency medical services, law enforcement, Utah Highway Patrol, all included – except, Dixie Ambulance and Colorado City-Hildale, who have not opted in to the common system to date. Dispatch does track Dixie Ambulance via radio recording. 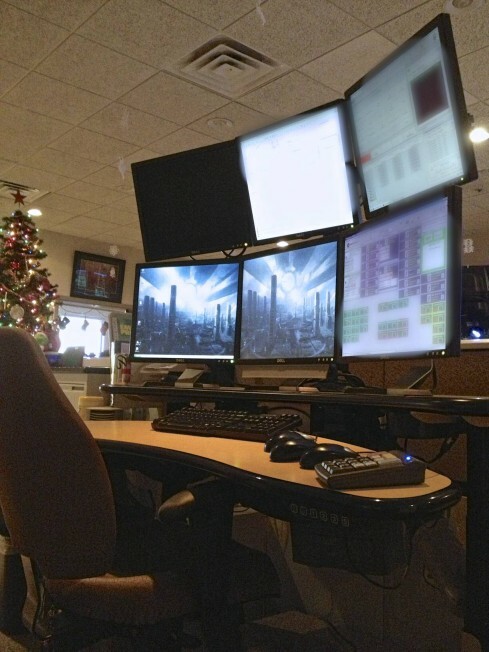 The Spillman CAD (computer-aided dispatch) system is a public safety software system provided by Spillman Technologies, Inc., a Salt Lake City company, used by dispatch centers, law enforcement and EMS agencies throughout Utah and other states. It includes two components: records management and mobile. • The records management system, Grenier said, is a program for tracking response times, doing reports, writing your after action reports, probable cause statements, booking reports, and so on. • The mobile system, Grenier said, is in-vehicle. “It’s where your GPS is plugged in, this is where you can run a license plate, check to see maybe if someone has hepatitis, that threatens officers, and … all kinds of safety stuff.” It provides information on locations of other public safety units as well as providing mapping and tracking, even so far as recording the speed a vehicle travels. All of the participating agencies utilize both, except Hurricane Valley Fire District, which only uses the mobile system. Again, Dixie Ambulance and Colorado City-Hildale agencies do not use either component of the Spillman system. Response time is determined from the time dispatch pages, Flowers said, to the time the responder arrives on scene. Gold Cross collected data from the dispatch center and created a study showing Dixie Ambulance was not meeting industry standards in its response time and argued that Dixie Ambulance was violating state law because of it. To counter this claim, Dixie Ambulance lawyers scrutinized the source used for the study: the dispatch records. It essentially claimed that dispatch personnel and equipment failed to accurately record response times. When a 911 call is received, Flowers said, it is immediately time-stamped; it is dispatched within 90 seconds of receiving the call –medical (Dixie Ambulance, for example) is dispatched first every time. The units then report when they arrive on scene, dispatch inputs the time as received in “real time,” thereby establishing the response time. Dispatchers recite the time each time they make a call to a unit, Flowers said. And all conversations between dispatch and responders throughout an incident are recorded. Dixie Ambulance personnel testified to use of phone books for mapping, recording call times and patient data with pen and paper. They said they then input the data into a state-run database called Polaris that collects the information for the Bureau of Emergency Medical Services and Preparedness. Tony Randall, president of Dixie Ambulance, said during the hearing that his agency doesn’t use computers in its vehicles because he considers them a liability. Lawyers for Gold Cross argued this method was unreliable and lent to recording errors in response times. “That may be why there are times where our data and (Dixie Ambulance’s) data (don’t agree),” Flowers said. Further discrepancy may occur if a vehicle clock or a watch used by personnel keeping handwritten records is inaccurate. Grenier said that the incidents presented at the hearing were not factored in relative to the entire body of data: “… the data that we submitted per their discovery request was three years’ worth,” dating sometime around 2007-08. He said that there are about 28,000 instances per year. In testimony given during the hearing, Chief Tom Kuhlmann, of Hurricane City Fire Department and EMS and chief of the Hurricane Valley Fire District, said he didn’t like the Spillman system and found it to be unreliable. He gave an example of entering the same data three times into the system, only to produce three separate results. Grenier said he asked Kuhlmann to reproduce his example and Kuhlmann had yet to do so. He also said that he spoke to Spillman representatives who said it was impossible for the computer to serve up three different results on the same data. Grenier said these types of errors result from input given from the field, and not mistakes made by dispatchers. 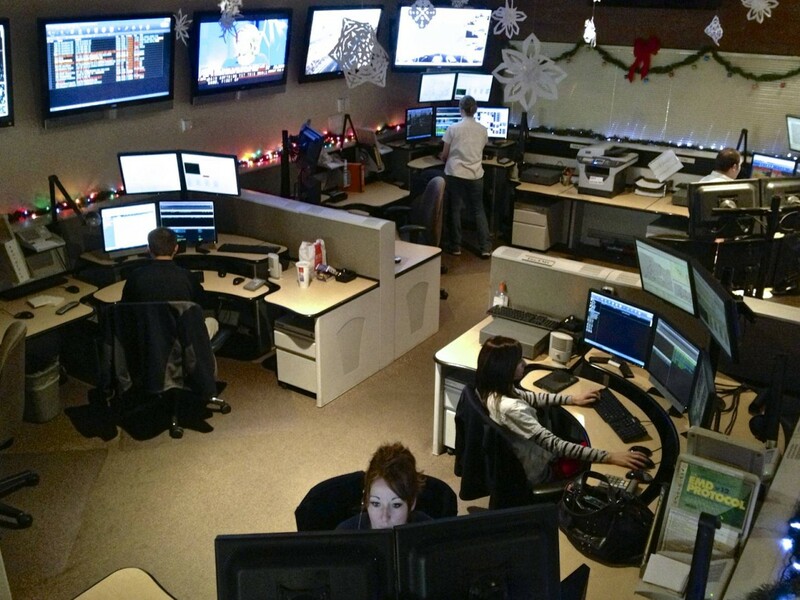 Each time a dispatcher inputs information, they also input the time. Hurricane Valley Fire District has also purchased another records management system that they like, Flowers said, but they have to keep Spillman mobile if they want to continue to see their calls and want dispatch to instant message with them. And if Gold Cross comes in, it comes with an EMS agency. Although the current territory sought does not include Hurricane, Flowers said that it could be a reason that Hurricane objects to Gold Cross and its technology – that if Gold Cross gets the contract for St. George, it could seek to expand into surrounding areas. Grenier said that just by Gold Cross coming in, efficiency is realized for its technological advantage, he said that Dixie Ambulance is in the stone ages. Gold Cross testified that it would have one more ambulance than Dixie Ambulance has in the area. “However, it would not matter to us whether it was Dixie Ambulance or Gold Cross,” Flowers said repeatedly. During closing arguments at the hearing, Clifford Dunn, lawyer for Dixie Ambulance, said dispatchers might be stressed and overwhelmed by their jobs, lending to possible input errors on response times. Heather Hallman, dispatch-training supervisor, said St. George dispatch is a little lower than the national turnover rate for dispatchers, which is just over two years. They tend to experience burnout from the stress the job creates, shift work and pay is a big issue, Flowers said. Yet, Hallman said, St. George dispatchers have a higher retention rate. The hiring process for prospective dispatchers is three months long, Flowers said. The training process takes four-six months, conducted by certified instructors. Dispatchers are certified by the International Academies of Emergency Dispatch. Jerry Overton, the international chair of the International Academies of Emergency Dispatch, visited the St. George dispatch center for an hour during the week of the ambulance hearing. In testimony, he said that the dispatchers performed well and were “quite quick” in inputting data and relaying calls. Lawyers in the ambulance hearing quoted Gary Esplin, city manager for the City of St. George, as saying “Dispatch has its problems.” When St. George News contacted Esplin for comment on the statement, he said he was quoted out of context. If there were any problems to be had, Esplin said it was in the area of staffing, not performance: “It’s very difficult and challenging to keep (the dispatch center) fully staffed,” Esplin said, citing previous examples of stress and dispatchers finding jobs that offer better pay. Neither Dixie Ambulance nor Kuhlmann were responsive to requests for comment by St. George News concerning the reported matters. St. George News assistant editor, Mori Kessler, contributed to this report. Thanks for the article offering our center’s rebuttal, Joyce. I wish it had come on the heels of the offending article, but this is quite good and it is 100% truth. THIS IS IMPORTANT: The fact remains that none of this should ever have become an issue. It never was before Senator Urquhart, placed himself in a situation he does not belong in as a state legislator. Dixie Ambulance had no complaints on record and people must remember, because it is so key to this whole issue, that the only reason hearings occurred in the first place was because one of our city council members, as unofficial business for the city, along with the St. George City Attorney, met with Mike Moffitt, President of Gold Cross Ambulance, having been introduced to each other by Senator Urquhart. This is absolutely “back door” in my opinion. Besides the fact that Gold Cross has previously sued two other cities (Salt Lake City and West Valley City), there are many other reasons we all as concerned citizens should be very watchful about what is happening in general, even on Capitol Hill, relative to legislation surrounding the issue of Emergency Management Services. Mike Moffitt (remember, President of Gold Cross) was asked to perform the very study to which this article refers. If you own a business, that would be the equivalent of a city council member asking your competitor, from a different city, to perform a review of your business – a review which would then lead to the necessity for you to defend, at great cost, your livelihood in hearings and potentially even the loss of your business. Now, besides a company which our area has been serviced by (with no complaints) for over 30 years being placed in this situation, we have great people from Dispatch, (who I am sure do a remarkable job, with every reason to be proud) being put in a position to feel as they must defend themselves. I implore everybody to please think logically about this. I assure you, for having done extensive research, I know precisely what is occurring, having tracked the motives and the parties involved. Rather than a dispatcher feeling as they must defend what they already know is valid, that they do a remarkable job, I hope they will ask themselves WHY. The “why” when you understand the whole situation, especially for anybody who advocates smaller government, is very concerning. This situation involves, not just “back door” politics at both the local and state level, it involves federal grant money, huge conflicts of interest, political campaign contributions, PACS, and more. Why should we be concerned? Because if people do not take the time to truly “see” the whole picture, all facts and truth, and we allow this to slide by, it will not be long before we all would then need worry about how much more control our local leaders will “give away” to the state. Whenever that occurs anywhere, you better know that the federal government will become involved in more decisions which affect you. We then would be allowing dangerous precedents to be established. This article makes me more determined to publicly release all information I currently possess which implicates the parties involved in what is a much bigger issue than most people realize. The term “ambulance wars” is not how this should be described. This should be described more appropriately as “the people vs. big government.” If you will allow yourselves to think logically and study the truth and facts, you will then understand that the logical move by Gold Cross and the very politicians who are party to this issue, would be to create controversy which places the focus upon dispatch vs. Dixie Ambulance. It is also logical to understand in a hearing, any attorney would have to , on behalf of their client, defend every assertion or allegation made within the review done by Mike Moffitt. Sometimes this process unfortunately requires the introduction of issues and subsequent defense of such. Do your research and you will see how Jerry Overton, who is quoted in the article, ties into the equation and I assure you, it is quite alarming. I will boldly state, because I can back it up with facts and evidence, that this issue is born from one thing – the political ambitions of Senator Steve Urquhart and his so-called “education initiative.” On the surface, it is hard to see, but when you view the facts; including every relative piece of legislation, dating back to 2003, you will then see TRUTH, the only thing you should want to see. More TRUTH coming soon. Thank you to those who are “listening.” I especially thank every dispatcher, who I know is prideful for the remarkable job they do and every EMT and Paramedic of Dixie Ambulance Services for serving our community, doing their jobs so well for truly wanting to save lives and care for people who find themselves in need of emergency care and transport. You have so much political hate built up inside of you that I am sure you are building a compound some where as we speak. Let it go… this is not politics. This is about who is most equipped to save lives for tax payers and customers. D.A.S has a track record and if you really did your homework you know what I am talking about. You must have some personal tie to D.A.S. If what you say is political and not personal, admit you don’t have a relative or something to gain from your ramble. As for me: I have no personal tie. I was on a FD that dealt with DAS and never had a good experience with them. And certainly heard many problems from their employee’s about how things are ran. That is what this is about, not politics. I have absolutely no personal ties to Dixie Ambulance Services, any of their employees or the owners. If not for having been transported by them in an emergency, I would never have even known the name of the ambulance provider for our area. As a business consultant, Bill, I can tell you, it is extremely common for employees to occasionally be negative about their employers or employment situations. In over twenty-five years of consulting, I can not remember even one company where that did not occur. At the public hearing, there was not one individual (employee or otherwise) who spoke against DAS. Quite the opposite, hundreds were there to show their support for them and speak in a favorable manner. As for this being politics, that is not an assumption, nor even an observation. It is a fact, based upon real evidence. I am far from being a person who has “political hate built up” inside of me. Truth is, I am not capable of hatred, nor even anger for that matter. I do however care about our community and society in general and would much rather be known as a “crazy lady” who at least tried to make a difference (see below comment by “hahaha,” than as an apathetic individual who ignores facts and truth. As for your service within a Fire Department, and although I do not know the capacity in which you served, I would like to express my gratitude to you for your dedication and service. Oh, and you are crazy lady! I would respond in greater detail; however, I always have been disenchanted by and unimpressed with any person who would demonstrate poor behavior or cruelty toward others while hiding behind their computer screens. Truly, any person who would speak truth, relying only upon factual information, would not be worried to stand up and speak out using their true identity. Thank you. Though that guy may have not expressed consensus in the most tasteful matter, you come off as truly obsessive compulsive and do not understand the gravity of the medium in which you try to relay your points. As a ‘business consultant’ who apparently has way too much time on her hands, you really need to work on streamlining your thoughts into a digestible form because, as I mentioned elsewhere, NO ONE is going to read your headache inducing blocks of text. Great article. Great job dispatch. Dixie Ambulance is a broken down company that should be replaced. DAS has never invested in their workers and the bare minimum on technology. It is a dinosaur run by the good old boys. I will be glad to see it go. I have worked alongside Dixie for many years. I hope the employees with Dixie recognize this is not a reflection of their service but the lack of support from within their own company. There are many who work for Dixie that go above and beyond with the little they have. Those who come to work without any hesitation because they love their job,and community they serve. Dixie Ambulance has taken advantage of these great people with low pay, benefits, and sub-par equipment. I would hope, if awarded, Gold Cross would see the value in these employees and retain them. Along those same lines, I would hope, if Dixie survives they reevaluate the needs of their employees and give them the best possible equipment and means to do a job where they don’t get “second chances”. I reiterate to you what I said above to “hahaha,” I would respond in greater detail; however, I always have been disenchanted by and unimpressed with any person who would demonstrate poor behavior or cruelty toward others while hiding behind their computer screens. Truly, any person who would speak truth, relying only upon factual information, would not be worried to stand up and speak out using their true identity. I also believe all people have a voice, including the employees of Dixie Ambulance Services. After reading every article about this issue and all comments beneath them, I never once have read a disparaging remark about this company from one of its employees. Any disparaging remarks I have seen relating to “low pay, benefits, sub-par equipment,” etc., have only come from people unwilling to identify themselves (again, those people who hide behind their computer screens), or people who must feel as DAS employees are incapable to use their own voices. I find that to be disrespectful toward the employees of DAS, those very same individuals who proudly serve our community each day, and only because they care to save lives. Oh Pamela! Indeed you are so insightful to recognize that I didn’t use my real name. My points must be so invalid as I hide my face in shame and spew lies. The issue isn’t who I am but what is said. Placing my real name, or not, doesn’t hide that everything I said is, as you put it, “the truth”. I don’t care who wins this contract as long as changes are made. To think that Dixie is perfect and Gold Cross is evil proves you are intimately involved with Dixie. So open your eyes, but more importantly your ears. I have spoken to several Dixie employees who are afraid to speak up as they have been warned by Dixie owners. All is not well in your “Pleasantville”! You still are speaking words you claim as the opinions of others. My words are only my own opinion. My life is very far from being “Pleasantville,” and I do not know the owners or anybody affiliated with Dixie Ambulance Services, and am especially not “intimately involved with them.” If you will read again, you likely will see that my comments are not even specifically about DAS, but rather a bigger picture, far removed from what is portrayed as an “ambulance war” between two companies. No matter how difficult or painful things may ever be in my “Pleasantville,” as you call it, I may always be proud to stand up for what is right, no matter that I would have to endure the verbal assaults of anonymous people. No need to become outraged or even slightly angry, “another Joe.” There is always an alternative which makes sense, and that is referred to as civil discussion. When you are able to discuss in a civil manner as a person who is not anonymous, I will happily respond. Thank you. My comment is not directed towards any person who remains hidden behind their computer screens, feeling as they may launch vicious attacks against others without even revealing their true identity. My comment is directed towards any person who is a truth seeker and cares about anything which affects our community and society as a whole. “Gold Cross collected data from the dispatch center and created a study showing Dixie Ambulance was not meeting industry standards in its response time and argued that Dixie Ambulance was violating state law because of it.” Use logic. Gold Cross, a competitor seeking the provision of ambulance services contract from the city of St. George, “collected the data and created a study.” Wrong, just plain wrong. For all business owners, especially of businesses which are state agency regulated, imagine how you would feel if a city leader, outside of normal city business, had the authority to ask your competitor to conduct a review of your business, then drag you into a costly legal hearing with the results in an attempt to put you out of business. Imagine further that the meeting at which the request was made was set up by a state legislator who also serves as a legal representative for your competitor. Conduct your research so that you will then know Jerry Overton, International Academies of Emergency Dispatch, who is cited in the article is directly affiliated with Gold Cross Ambulance. Research Mike Moffitt, so you will understand how he is a board member of the EMS Committee – Bureau of Emergency Management Services and also on the Rules Revision Task Force, meaning he, as President of Gold Cross Ambulance, the same company who sued Salt Lake City and West Valley City; has given thousands of dollars to Utah legislators by way of campaign contributions, (the very same legislators whom have introduced favorable legislation to him); has hired lobbyists to assure that Utah state legislators, as it relates to EMS laws, introduce and work diligently to pass laws favorable to the way Gold Cross needs them to be, to operate in the manner they desire; and has contributed to various PACS who represent state governed issues which impact their industry and more specifically their profit entities. Given state law, the only way for Gold Cross to gain the contract for provision of ambulance services in the city of St. George was for an RFP to be issued. Given those same state laws/rules, an RFP could not be issued without an unfavorable report pertaining to the existing ambulance services provider. Now, please review what I said above pertaining to how the request for the review to be done was made by a city council member directly to Mike Moffitt, President of Gold Cross, occurred. So, the owner of the ambulance company who seeks the contract was asked by a city council member to provide a review of the services provided by Dixie Ambulance. How does that make sense? How could the review possibly be impartial or fair? Jerry Overton, an affiliate of Gold Cross Ambulance spends one hour at the Dispatch Center conveniently during the time of the hearings. Think logically about why that visit occurred when it did. Did you know that the city of St. George gave their local right as a political subdivision to make the decision about the provision of ambulance services to the Bureau of Emergency Management Services? Did you know that it is rare for any city or township, political subdivision to turn their own decision making authority, provided to them by state law/rules, over to a state agency. Once again, use logic, facts and truth and I am sure it will cause you and others to want to know where this path leads. It is a path which leads to places most people would rather not know about, but should care enough about to want to know. You know, if you read all the articles that have been posted on this subject and the responses made by those who are pushing for Gold Cross, and those, like Pam, who are defending our current ambulance system, one thing does become immediately apparent: Gold Cross is definitely being represented here by witless, badgering bullies with private interests that are proving detrimental to our public! Just look at how they talk here! 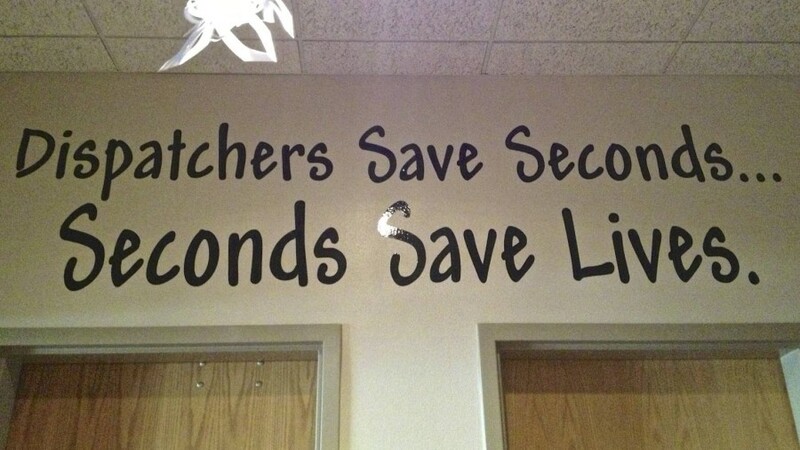 Who wants that kind of tactless garbage doing EMT work? Can you imagine? Shame on you! All for money! Shame, shame, shame! Good job, Pam! Nobody needs people like this around. Good Job, West Valley! Way to Go, Salt Lake! Roy it appears you missed the point of this article. Shame on Dixie Ambulance for making up lies and trying to blame substandard work on the 911 dispatchers. You make DAS out to be helpless victims but they are the ones not taking responsibility. Pamala, you are committing the logical fallacy of argumentum verbosium when you tack on the same comments post after post. You sound like a robot or a paid shill when you regurgitate the same thing verbatim. Once is enough – we get that you state you have evidence and now it is up to the informed citizen to read it. Posting it over and over again doesn’t make you sound more intelligent. Posting it over and over again doesn’t make you sound more intelligent. Posting it over and over again doesn’t make you sound more intelligent. Dispatchers had knowledge of the testimony because some of us were there at the public hearing and it was relayed to those of us who were not. Then Tony Randall and Tom Kuhlmann’s statements were printed on this very same media website, which prompted an outcry from disptachers, supervisors, and city officials alike, which gave rise to STGnews coming to our center and getting the evidence we presented and writing this article. There wasn’t some hooded figure secretly supplying dispatch with top secret information as you suggested when you wrote, “Again, it requires the use of logic, but how was it the Dispatchers were able to have knowledge of the hearing testimony? To me, and although it was a public hearing, it seems to me as the person or entity providing that testimony to the Dispatchers of emergency services have created issues which could in fact be detrimental to the public.” It doesn’t take very much ‘use of logic’ to see quite clearly how we learned of the falsehoods spoken of us. It does, however, take a ridiculous stretch of the imagination and unclear motivations to imply otherwise. As a city employee, I have no publicly-stated preference one way or the other between Dixie Ambulance and Gold Cross. We in Dispatch will continue to do our job to the utmost professional level – as we have always done and as supported by the interviews given to STGnews by our Directors – for all organizations we work with despite statements or beliefs to the contrary. “We in Dispatch will continue to do our job to the utmost professional level – as we have always done” is the only portion of your post to which I will reply, Matthew. I would expect nothing less from Dispatch, and only stated in previous comments that I am grateful for the good work you do. You likely did not absorb all of the words I wrote that were kind, respectful and appreciative toward Dispatch, but they were sincere words. That you choose to be unkind in your response, particularly since you are a city employee does not reflect well, and my choice is to not respond to people who behave in an unkind manner. Let me firstly reiterate that this article is about Dispatch’s rebuttal to statements made against the service it provides and my challenging of some of your statements made about Dispatch. Which ambulance service gets the contract is immaterial and arguments pertaining to the contract legal debate are red herrings – distractions – and not why I have posted here. Please keep the discussion relevant. Pamala, I indeed noticed the good things you said, and am very thankful for them. To clarify, I am speaking as an individual who happens to be a city employee who was affected by the statements made in the hearing. The fact that I am a city employee does not preclude me from my first amendment rights, and I am responsible unto myself for my conduct and would never do anything to bring discredit upon this fine city. I will not be cowed into silence via your border line argumentum ad baculum and ad hominem statements that my conduct is unbecoming. I assure you, Pamala, that there was not one ‘unkind’ word typed in my response, and that I would certainly use every word with my own dear grandmother, God rest her soul. Pointing out logical fallacies and calling into question the intention and veracity of statements is not ‘being unkind’; rather it is the foundation of debate, rhetoric, and logical discourse. I once had a professor at our very own DSC who saw it as his duty to teach us not to be, in his words, ‘rhetorical weenies’, which is to say not one who shies from discourse. The internet doesn’t do ‘tone of voice’ justice and it requires thick skin to navigate these stormy seas. My purpose is neither to dissuade you of your own beliefs nor persuade anyone else as to which ambulance service should operate here because I don’t have a dog in this fight. Whoever gets the contract gets the contract and it won’t affect the quality of service that Dispatch provides one bit. Truthfully, my only reason for responding to you in the first place was to clear the air of more language which put my fellow professionals and myself in negative light by calling into question the circumstances pertaining to Dispatch obtaining the testimony information. Nothing that I said is incorrect and that fact should be acknowledged and your statement retracted, rather than the red herring you threw out there about keeping a stiff upper lip, taking the high road, and not responding to portions of my post. Again, I would very much like to hear your explanation as to how “the person or entity providing that testimony to the Dispatchers of emergency services have created issues which could in fact be detrimental to the public”? I am sorry I can not reply beneath your comment which deserves this answer, but I feel certain you will put it together. For some technical reason, the “reply” option is not appearing there. I also am unable to create space between my paragraphs of text as you are able to do. First, I owe you and everybody in Dispatch who may have read my comments an apology. My sincere apology relates to the fact that you are correct: “this article is about Dispatch’s rebuttal to statements made against the service it provides.” I should not have made many of my comments beneath this particular story, at least the ones unrelated to Dispatch. As for clarifying what I meant by my statement that “the person or entity providing that testimony to the Dispatchers of emergency services have created issues which could in fact be detrimental to the public,” I apologize here as well. While I stand behind what I stated, for it is my true perception, some of my reactions and opinions are based upon comments made in various areas of Facebook, some on the page of St. George News, others elsewhere. I concede that it is not fair that I would base any part of my comments here upon perceptions developed from words spoken in other places or forums, especially since I have determined that it is possible, some of those anonymous comments made on Facebook may be from Gold Cross Employees, rather than Dispatch Employees. Still, it is not a stretch that in addition to anonymous comments, even those who identify themselves as Gold Cross Employees, often speak on behalf of others, and that does include Dispatch. Since some of those comments can not be seen by everybody, they do not have the opportunity to understand from where my perception comes. This does not mean I do not feel as people would understand and maybe even agree that it could be easy to surmise that there is a bigger issue. I reiterate here my apology. Truly, I am very sorry. I do feel as Dispatch had a right to a “rebuttal.” I just am not of the opinion that in the media is where it should be shared. Though I do not believe I even saw the “offending article,” I can understand how then it becomes necessary for Dispatchers to want to have an opportunity for “rebuttal.” If not for an “offending article,” there would likely be no need for a “rebuttal article.” Then any issues could have been handled between the agencies and individuals involved and affected. I realize there is a “fine line” the media sometimes must cross in their efforts to “tell the story.” And I do believe that the editor of St. George New tries very hard to report fairly. Not every media source would offer an opportunity for “rebuttal.” Likewise, not every media source would necessarily print an “offending” article. I respect that you expressed your gratitude to the editor for providing you an opportunity for “rebuttal.” Can you at least understand my feelings that media can truly, even unintentionally do more harm than good? It happens everywhere. Sometimes it seems as the media creates in places where it should not necessarily be – a need for the public to become the judge, the attorney and the jury in legal issues. From experience, I will state that it can and often does create further problems, especially when there is an appeals process in a legal hearing or trial, and for both sides. The public does not have access to the testimony. In my opinion, the media can often serve as a public “stirrer of pots,” on issues which are best left between certain agencies and parties. It is far too easy for any of us to develop perceptions where we do not have a complete picture, only what the media chooses to report. I do not imply at all that any story has been poorly, incompletely or even inaccurately written. However, an issue as this, when reported in piecemeal fashion, can do much more harm than good. That is my opinion and applies not just to this issue. Relative to your comment that “calling into question the intention and veracity of statements is not ‘being unkind’; rather it is the foundation of debate, rhetoric, and logical discourse,” is actually true, so I apologize. I only add that I was basing much of my comment here also on things said elsewhere, which was unfair to you and any other Dispatcher who may have been offended. We also may have differing views about what is considered “unkind.” My skin is probably not as thick as yours and I can freely admit that. Lastly, your comment that “the internet doesn’t do ‘tone of voice’ justice and it requires thick skin to navigate these stormy seas.” I could not agree more, nor do I have the ability to say it any better. I sincerely do appreciate that you took the time to respond intelligently, Matthew. Truthfully, this is the first time anybody has responded in a manner which does not cause my heart to hurt, but rather compels me to feel a bit of restored hope that there actually are people as you seem to be, in our society. On the internet, it can sometimes be easily forgotten, which only may lead to lost hope. Some people will view how I respond as weakness. I assure you, I possess a great deal of inner strength, having survived unspeakable trauma. Still, for the nature of “the internet,” at least one anonymous person will likely choose to be cruel. Thanks for the reply Pamala. Your conciliatory approach and apologies are accepted. As for putting spaces between paragraphs, I cheat the system. Look closely and you’ll see a period in the “space”. All I do is hit “enter” when I want to make a new paragraph, then type a period, then hit “enter” again and start typing the next block. Its a workaround for the makeup of the website template. Hope you enjoy using it now – it will certainly make your posts much more readable. Journalism is expected to report the truth or what can be independently confirmed. When comments arrive with statements that are claimed to be true, shouldn’t they at least be independently confirmed or proved wrong instead of censoring the messenger? We have not censored or disapproved any comments submitted on this thread. Sometimes there may be a delay as comments are not auto-approved. Please set a limit of words for posts. Pamela is using up too much space on this web site. Adios Dixie Smambulance. I sure hope you are getting something for being the DAS Fanboi… I have to ask though, if you have all this truth and information, why don’t you just produce it instead of constantly alluding to it and making yourself sound like a loon. Moreover your yardstick for success seems to entail something along the lines of “they have been here for 30 years” and “no one has complained yet”. This is not any measure of the quality of service, this is the rationalization of mediocrity and the status quo. Are you really of the opinion that the first time the City of St George should review its quality of service is when something bad enough occurs to merit a complaint? You seem to be merely attacking the question instead of the actual issue at hand Quality of Service! Perhaps you should be asking why DRMC doesn’t use DAS any longer for interfacility transports? Would that be an opinion that would merit some of your so called “TRUTH”. DRMC tried to work with DAS management or “mismanagement” to reach some mutually beneficial arrangement and DAS would not budge from their demands and no longer provide interfacility transport for the hospital. Would DRMC no longer using DAS qualify for your “truth” rants? Perhaps you should be asking why St George Fire has added another full time station and engine, Washington City Fire has added additional staffing and vehicles as well as Hurricane’s Special Service Dist, however DAS has maintained the same number of resources for the past 10 years while every other agency has additional personnel and vehicles. Is this part of the ongoing conspiracy? Perhaps you should consider why the City of Ivins chose to start their own paramedic transport and now only uses DAS to supplement their own resources. Finally, perhaps you should just take the words from Tony Randall’s testimony when he remarked that “laptop’s in the vehicles are a liability”. Every public safety vehicle I see around Washington County (even animal control!) has a laptop in it which from what I understand connects them to everyone else and the local dispatch center, but not DAS! I am sure this technology thing will pass with time and Tony Randall will be proven quite correct. Again, why is the question of quality something that must be attacked? Pamala, your arguments’ are right out of X-files or an Oliver Stone movie. A short response for you also are being unkind. I have shared far more than what you may see on St. George News, for I do not believe a comment forum is even the proper place to share. The most important things are being shared in the proper places; with people who truly do have a voice. I admit my voice is no more than a whisper. My comments here are mostly to at least induce people to think beyond an article or series of comments. I do not want to think on behalf of others. I see Gold Cross Employees on here and others who say incorrect, invalid and even cruel things and it is very difficult to accept that people remain anonymous and then launch hurtful words. Do I have an answer for every question you pose in your comment? No. Do I need one? No. At least some people will be paying attention and caring enough to do their own homework. What I maintain is that I have the ability to remain civil in discussion; why I will not respond to people who only come here to speak vicious words. At least you used your name, and for that reason, I commend you. If you truly read my words, you would know I have no affiliation with Dixie Ambulance Services, so calling me a name, or two or three really serves no useful purpose. If it makes you feel better, then I will let it be.